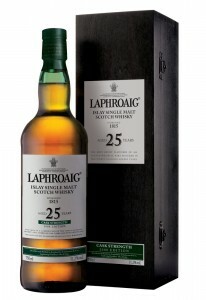 Famously, Laphroaig is Prince Charles’s favourite whisky and he awarded the distillery his Royal Warrant in 1994. With Royal, whisky critics and amateurs alike each showing their satisfaction with a Laphroaig whisky dram the brand has floated to the top of scotch whisky lists around the world. Laphroaig has been the best-selling Islay malt since 2002, and today accounts for around half of Islay single malt case sales.